We will be attending the event as media. As always all opinions are honest and solely mine. 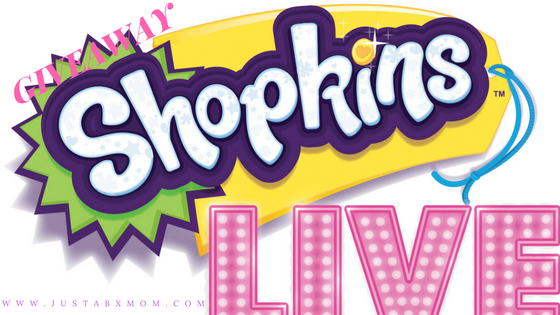 Shopkins Live is coming back to NYC!!! I can’t even begin to tell you how sad I was not to be able to take JustaBXgirl to see Shopkins Live when it came to Tarrytown, NY a few months ago. The timing just didn’t work with our crazy schedule but we were both rather disappointed not to attend. That is okay though because they say, good things come to those who wait! Sound the trumpets. Yup, Shopkins Live is back. And we are going!!!! And know what’s even better??? We want you to come too. To celebrate we will be giving away a family four-pack of tickets to one of our readers for the Staten Island show. You’re welcome. If you don’t want to take the chances with the giveaway or don’t live in the NYC area you can head over to www.shopkinslive.com to get your tickets. We are at the end of the tour so there are only a few cities left. To see where it has been head over to the website as well. Here are the dates and locations they are heading to next. I haven’t shared with JustaBXgirl that we are going to the show yet. I need to let her know soon so that she can choose an outfit to wear. She will either be Cheeky Chocolate or Strawberry Kiss. Which Shoppie should she be? We are also hoping to host a Shopkins Swapkins playdate soon. Have you ever been to one? Have You Heard Of A #ShopkinsSwapkins Party?